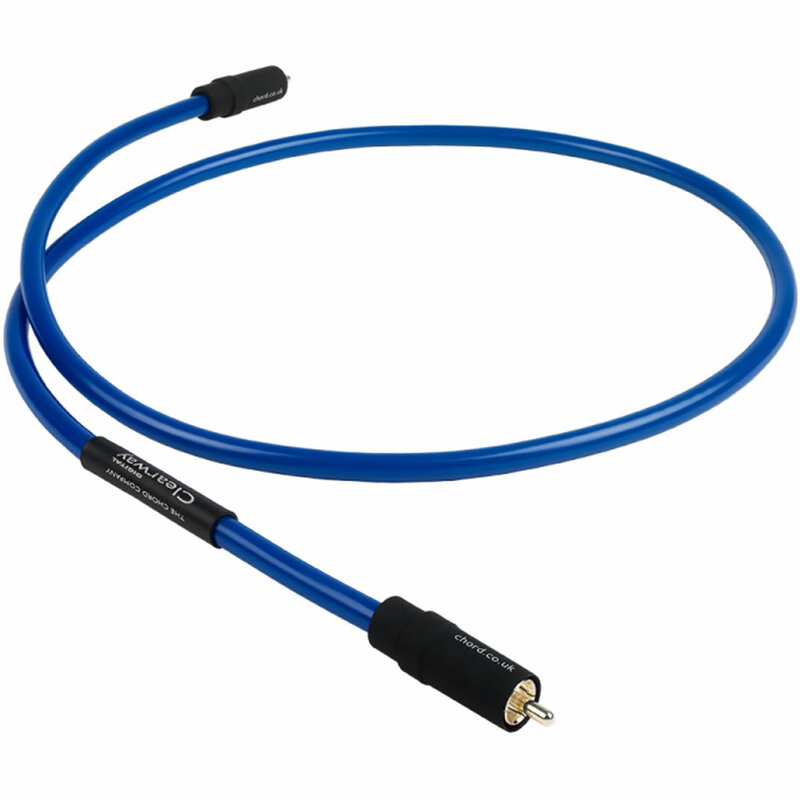 The very first Tuned ARAY cable Chord developed was the Chord Sarum Digital and when they heard what it could do they took the idea and developed it for analogue and power cables as well. Digital cables don’t make a difference? Well it’s true that a lot of digital cables are fundamentally 75 Ohm coaxial designs. Tuned ARAY is different – it’s a unique conductor configuration and the Clearway digital uses the same Tuned Conductor geometry as the original Sarum Digital. That makes it a very special digital cable and one you need to listen to. It isn’t necessarily detail you’re listening for – it’s something far easier to hear, its musical coherence, something that a lot of what used to be called “entry level” equipment is getting very good at producing. The Clearway Digital can be fitted with Chords silver-plated VEE 3 RCA plugs, silver-plated BNC connectors and/or mono mini-jacks, that fit some of the very chic miniature DACs. The standard length is 1m, with custom lengths available to order.